• PLOT SUMMARY: "Public Exposure" Pt. 2 - Big, bold choices! That's what Norman Osborn's H.A.M.M.E.R. and Avengers have been all about! And with every bold choice comes more and more risk! And with risk comes pressure! And with pressure...come the voices. How long can Norman Osborn hold it together? And what is he willing to do to make it look like everything is just fine! Written by BRIAN MICHAEL BENDIS. 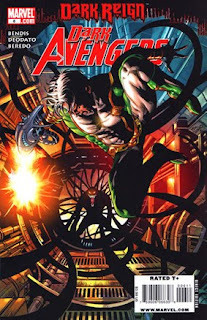 Art and Cover by MIKE DEODATO.